Just detailed!!! 2015 replaced lower units. Serviced every 100 hours by a qualified Mercury mechanic. The hull has fresh bottom paint. The engines and the propellers look good. Both cowlings recently painted. New seat cushion over livewell just installed, not showing in photos. 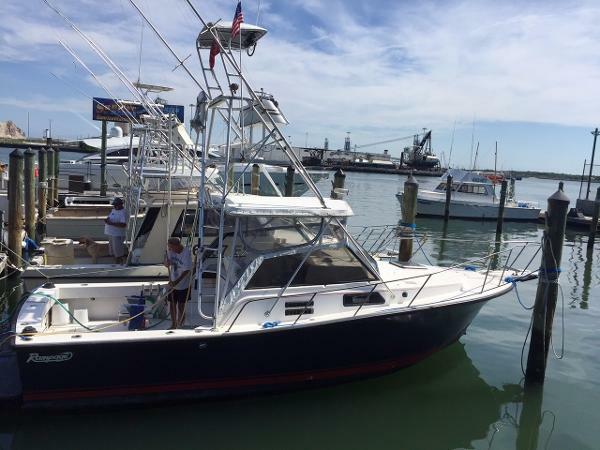 Stock #082222 Sport Fishing vessel ready for fishing If you are in the market for a walkaround, look no further than this 2006 Pro-Line 31 Express, just reduced to $53,000 (offers encouraged). 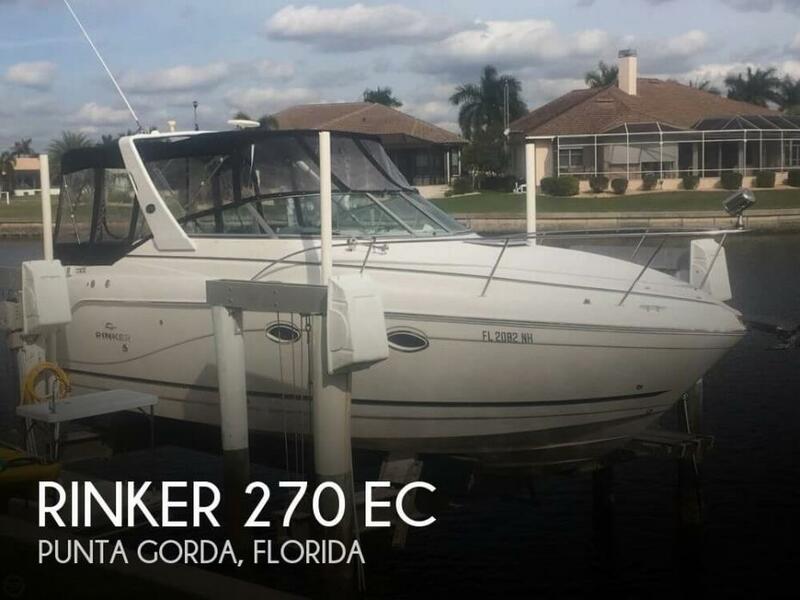 This vessel is located in Miami, Florida and is in great condition. She is also equipped with twin Mercury engines that have 915 hours. Reason for selling is seller moved to chicago..
Stock #172961 BOAT IS IN VERY GOOD OVERALL SHAPE IT IS A 1999 296 CRUISER 31 '6". 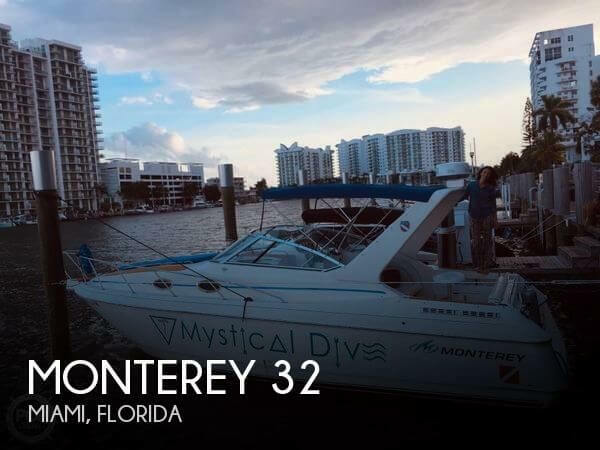 BOTH ENGINES LARGELY SERVICED If you are in the market for an express cruiser, look no further than this 1999 Monterey 32, priced right at $27,999 (offers encouraged). This vessel is located in Miami, Florida. She is also equipped with twin Mercruiser engines. Pride of ownership is evident throughout this vessel. Whether you are just day cruising or heading on an extended trip, this one will do it in style and comfort. New canvas, Solar battery, lots of extras Stock #173445 This well loved and cared for Carver is a perfect family or cruising couples boat If you are in the market for an express cruiser, look no further than this 1990 Carver 3067 Santego, priced right at $31,500 (offers encouraged). 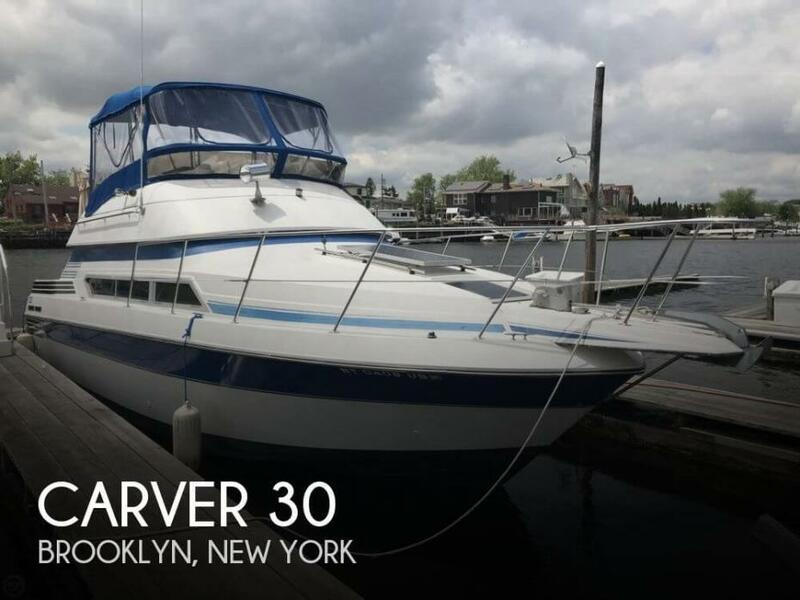 This vessel is located in Brooklyn, New York and is in great condition. She is also equipped with twin Volvo Penta engines that have 500 hours. Reason for selling is moving. This is truly the nicest 2007 cruiser I have seen in years. This boat is lift kept and spotless. One would not guess that this boat is a 2007 model. Current owner is just the second owner to enjoy this gem and has been meticulous in her upkeep. Certified Mercury mechanic performed an engine inspection in 11/2018 and found no issues - all good and ready to go. You would be challenged to find a cleaner 2007 cruiser anywhere. Upholstery is flawless with no signs of wear anywhere, trim is perfect, gauges are all clear and operational, the engine compartment is dry and clean, the cabin is bright and fresh with no odors, stains, or signs of wear. Head is clean and fresh with no odors. This well-maintained cruiser (service records available) will not disappoint in any way and will not be on the market long. Owner's favorite features are the well-thought-out layout, quiet operation, and fuel efficiency. Owner bought another boat and is making this beauty available at a GREAT price well below market. This is the one you have been searching for. Schedule an appointment today and bring your best offer. ** Vessel was just inspected by a certified mechanic and determined the starboard manifold will need to be replaced. Owner plans to make this repair prior to sale. 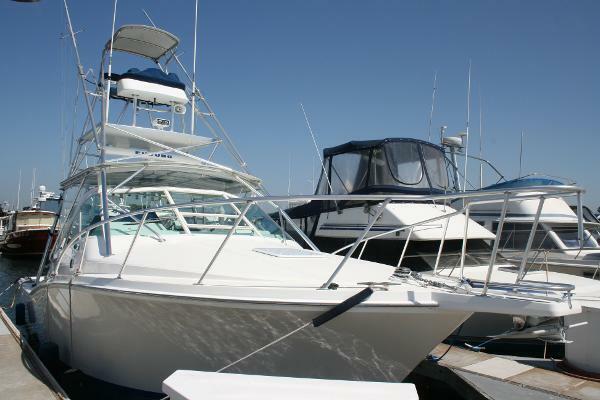 Stock #168757 STUNNING LIFT KEPT 2007 RINKER 270EC CRUISER IS FLAWLESS! GREAT LAYOUT AND FUEL EFFICIENT DUAL PROP ENGINE WITH LOW HOURS! DON'T MISS THIS ONE! If you are in the market for an express cruiser, look no further than this 2007 Rinker 270 EC, just reduced to $31,500 (offers encouraged). 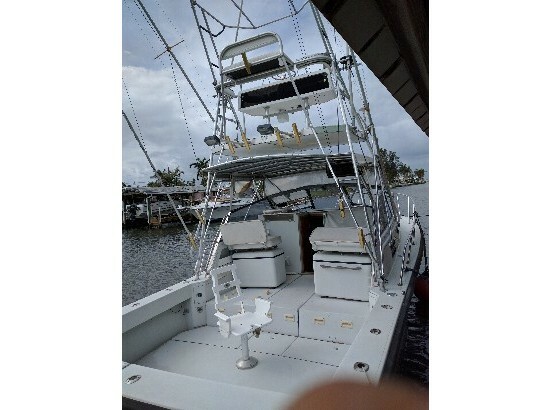 This boat is located in Punta Gorda, Florida and is in great condition. She is also equipped with a Mercruiser engine that has 810 hours. Reason for selling is bought another boat. Owners have their maintenance records, but not previous owners. She has been stored wrapped and all regular annual maintenance has been performed.New items coming with this boat are the mooring cover and canvas sun pad cover. Stock #170242 Absolutely clean & great looking Gran Sport 3400! Camper top, sun pads with new canvas cover & windlass! Interior & exterior LED lighting! 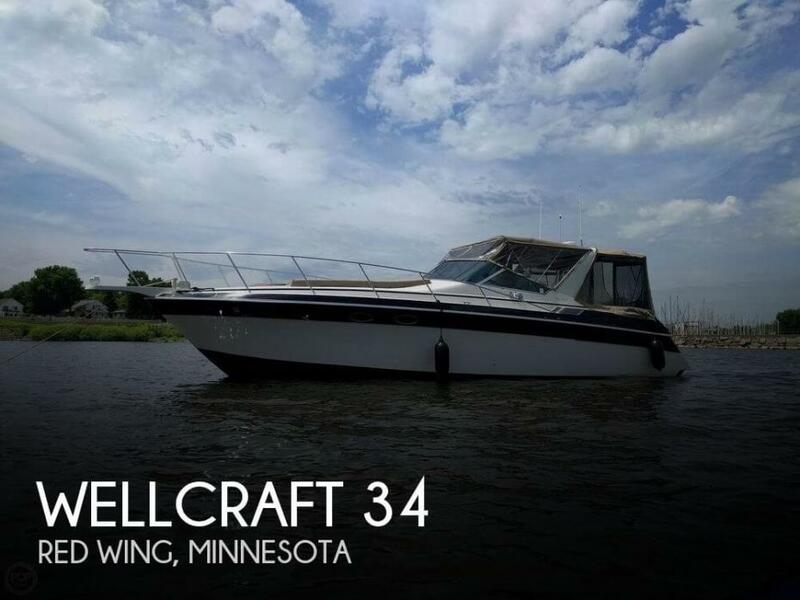 If you are in the market for an express cruiser, look no further than this 1989 Wellcraft 3400 Gran Sport, priced right at $31,200 (offers encouraged). This vessel is located in Red Wing, Minnesota and is in great condition. She is also equipped with twin Mercruiser engines. Reason for selling is sellers are done boating. 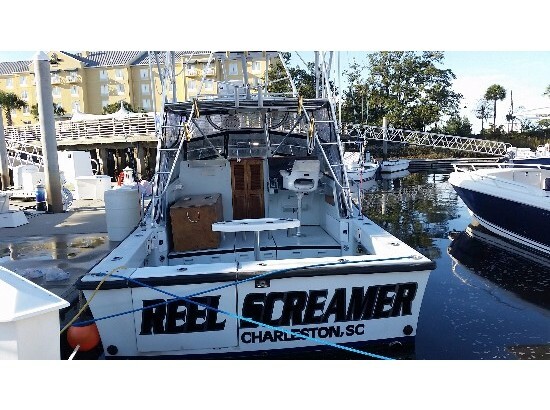 Please contact the owner directly @ 610-291-0617 or [email removed]...1988 31' rampage express re powered with 240 hp yanmars upgraded shafts and shaft seals,10''navnet, 2 icom radios,furuno 1650,blue underwater lights,boat has constantly been upgraded price is for quick sale. Stock #165879 She is a twin gasoline powered vessel designed as a coastal cruiser. Engines/Outdrives are a Volvo-Penta 5.8 liter gasoline. 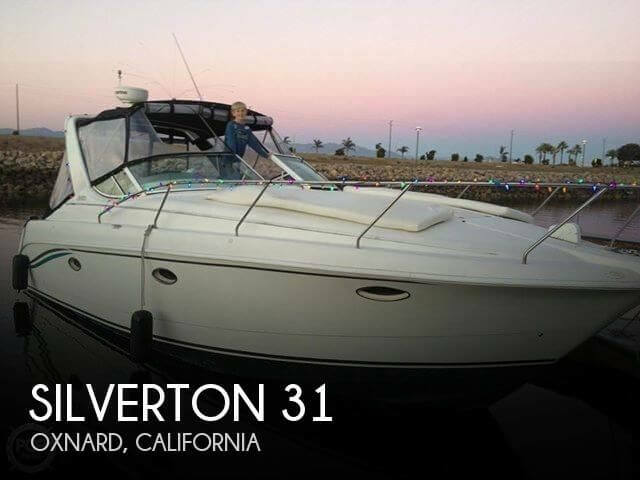 If you are in the market for an express cruiser, look no further than this 1995 Silverton 31, priced right at $18,000 (offers encouraged). This boat is located in Oxnard, California. She is also equipped with twin Volvo Penta engines that have 579 hours. My last time listing this, as unresponsive bidders have used up my free listings and I will not pay $60 to relist it again. boat was winterized when parked but has been sitting since 2009. needs some deck work, paint and lots of elbow grease. huge cabin below deck, galley, head, dining table, sleeps 5-6 easily. new macerator pump for toilet, garmin fishfinder included, blue canvas canopy no longer included as it grew legs and walked away. I paid $8000 for this boat and now being the product of a bad breakup, it needs to go. I'm tired of looking at it and so are my neighbors. Please feel free ask questions and by all means... please come and take a look. call for more info 516 807 6778. Stock #154467 Freshwater, 318 vista is a showpiece of ingenuity and sophistication. The elegant silhouette, the impressive helm, the spacious cockpit! 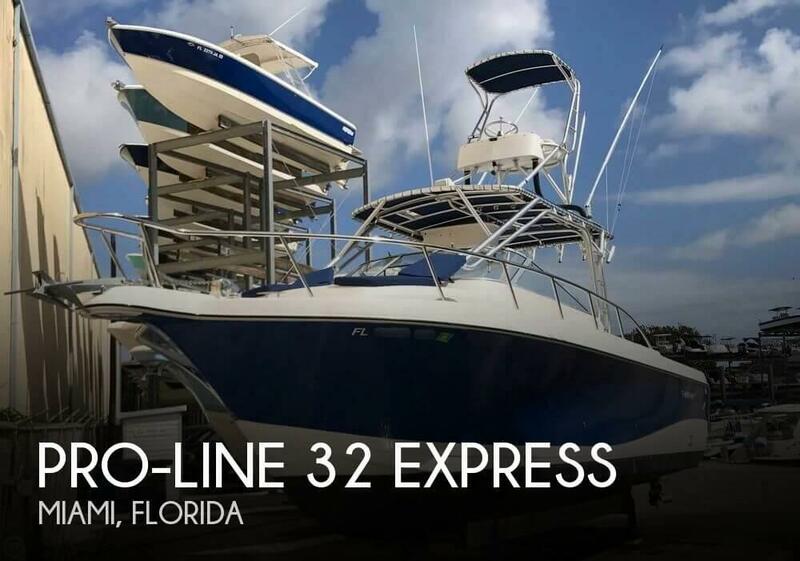 If you are in the market for an express cruiser, look no further than this 2009 Four Winns 31, priced right at $110,000 (offers encouraged). 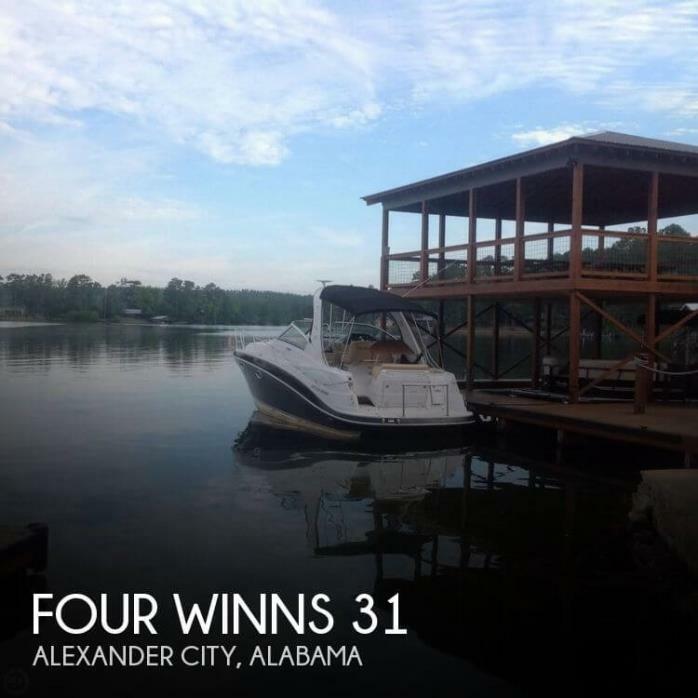 This boat is located in Alexander City, Alabama. She is also equipped with twin Volvo Penta engines that have only 170 hours. 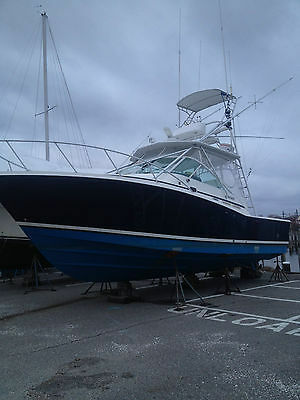 1998 Cabo 31 Express VERY CLEAN AND READY TO GO!!! 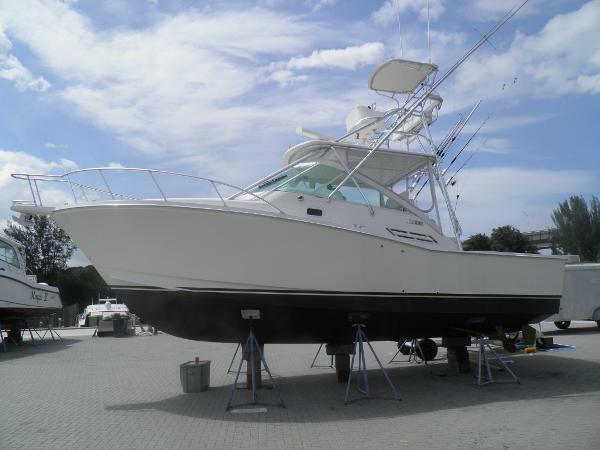 "Really Big Fish" is a beautiful 31' Cabo turn key and ready to go. She has been very well maintained and looks gorgeous. Powered with Cat 3116 TA motors with only 1400 hours on her. In addition she is fully rigged with great electronics, a full tower with controls, Northern Lights generator, a large Offshore cockpit tank, Rupp outriggers and a whole lot more. If your looking for a very nice Cabo look no further. I recommend you check this one out quickly though because I think she's going to go pretty quick. Don't miss your ride- you can be out chasing the fish this weekend!!!. 1988 Rampage 31 Express Nice 1988 31' Rampage Express. Twin Volvo 190 hp diesels, rebuilt turbo with < 400hrs, rebuilt starboard fuel pump (one engine needs work but was recently rebuilt) spare Volvo parts engine. Raymarine E120 and E80 chart plotters. Power outriggers, 2 VHF radios, Raymarine Sirius Sat. module, Furuno GP 32 GPS, Raymarine DSM 300 sounder, Raymarine Seatalk network, 1 K transducer. Cabin AC, head with holding tank, raw water washdown, dive platform, bow pulpit, fighting chair, 40 gallon fresh water tank, 256 gallon new diesel tanks, 50 gallon livewell, 2 new batteries, new bottom paint, new deck paint, new bimini, new trim tab pump and actuators, transom under water blue lights, new zincs and much more. Hauled and inspected Feb. 2016, survey available. 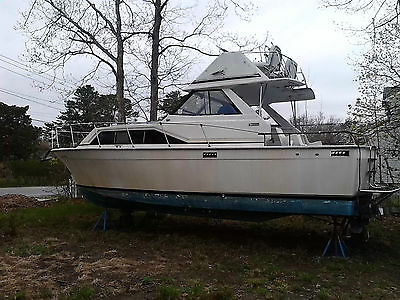 2002 Cabo 31 Express .